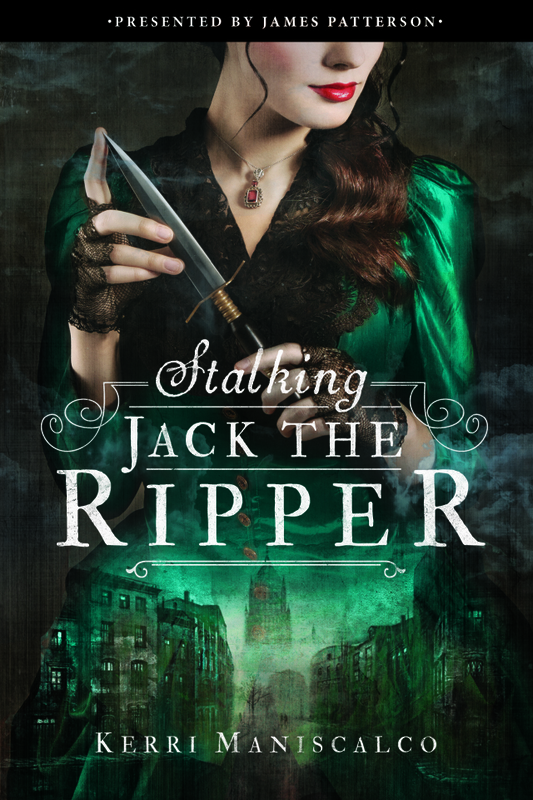 I read and LOVED Stalking Jack the Ripper (review here), so I’m super excited to be hosting exclusive chapter thoughts from the author Kerri Maniscalco today! If you’ve been participating in the read-a-along, I want to know your thoughts in the comments below! And if you haven’t read STJR yet, I highly recommend you do so soon! One of my favorite additions to SJTR came during revisions with my editor. She absolutely loved the push/pull relationship between Thomas and Audrey Rose and thought it would be fun to include a scene where we see some of Thomas’s well-constructed walls begin to crumble around chapter 25. Okay, and maybe she also thought it might be fun if they had a moment where they both realized how deeply they felt for one another. I didn’t want Thomas to be the one to save them, though. That had to be up to our heroine. I felt it was a nice twist and one that Thomas would absolutely adore. It’s the moment Audrey saves them both from the attack in the alleyway that solidifies how strong and capable she is, and he admires her greatly for it. I also found it to be fun character growth for Audrey who struggles with her emotions throughout the book—she was able to overcome fear and it was a victory in so many ways for her. One of the best things about their growing relationship is how supportive they are of one another, and how they push each other to be their best selves. I enjoyed watching their relationship unfold, even when Audrey tried fighting her feelings in the beginning, she always knew Thomas complemented her and vice versa. I was jumping up and down, clapping when she tugged him close and kissed him. The big reveal: SPOILERS AHEAD…. When we find out who Jack the Ripper is, I originally had him escape from the secret laboratory in their home. In real life there were rumors of Jack the Ripper traveling to America to continue his murder spree a few years later, and I thought it might be interesting to leave it at that. Then my agent asked the all important question before we went on submission…what if something else happened to him? The evil author in me immediately perked up and realized exactly what needed to happen to Jack the Ripper, and knew it’d be one of the most emotionally devastating things I could ever do to Audrey Rose. My heart broke open for her and I knew as I was crying through those scenes that that was the right ending, even though it was hard. I didn’t want to end on such a dark note, though, because that’s not who my characters are. They are light in the face of darkness, and they find hope in seemingly hopeless places. It’s what makes them both so amazing at forensics and seeing past horrific crimes to stop murderers. I wanted to leave the door open for them to continue on with new cases and adventures, and knew sending them to boarding school would offer them challenges and opportunities to hone their craft. The news couldn’t come from anyone other than her father, though. His character growth from beginning to end was so fun to be a part of. He goes from being withdrawn and paranoid, to encouraging and present and it’s exactly what Audrey needs as she embarks on this new chapter. I hope you all enjoy the next adventure…it begins a week after SJTR ends, and takes place in Romania. New infamous murderer, new case to solve. But ghosts from the past might haunt them along the way.